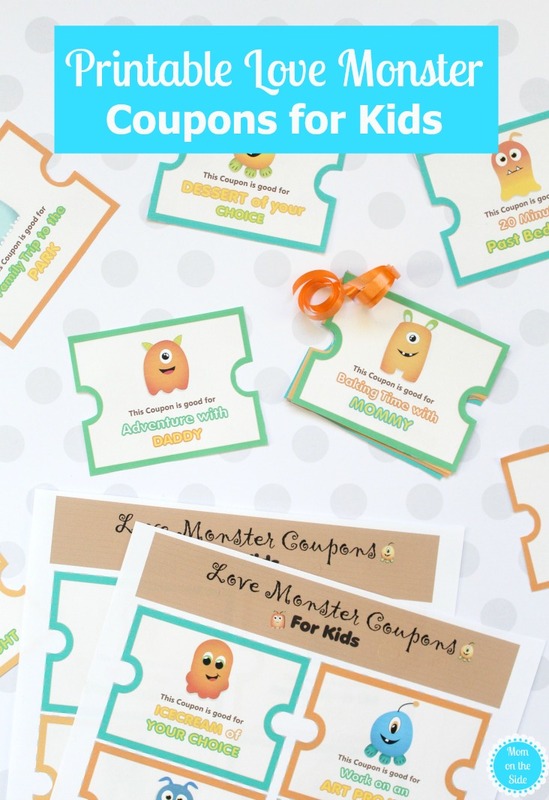 If you are looking for coupon books ideas for kids, these adorable Monster Love Coupons for Kids are it! Great for giving to your child anytime, but they make a sweet Valentine’s Day coupon book for kids as well! My kids have made me several coupons books for mother’s day over the years and I always enjoy getting them. I hope they enjoy these as much as I did mine. Each love coupon has a different monster and special experience on it. Don’t worry, it’s nothing major like a trip to the beach or a shopping spree. Just a little extra time with mom and dad, snack of their choice, family game night, and more. There are 12 coupons to package up into a fun little gift that will continue giving. Nothing on the cards specifies Valentine’s Day so you could even use them as a birthday coupon book for kids. Easily put them together by punching a hole and tieing ribbon through it. Kids can pull off tickets as they want to use them and make lots of memories along the way. 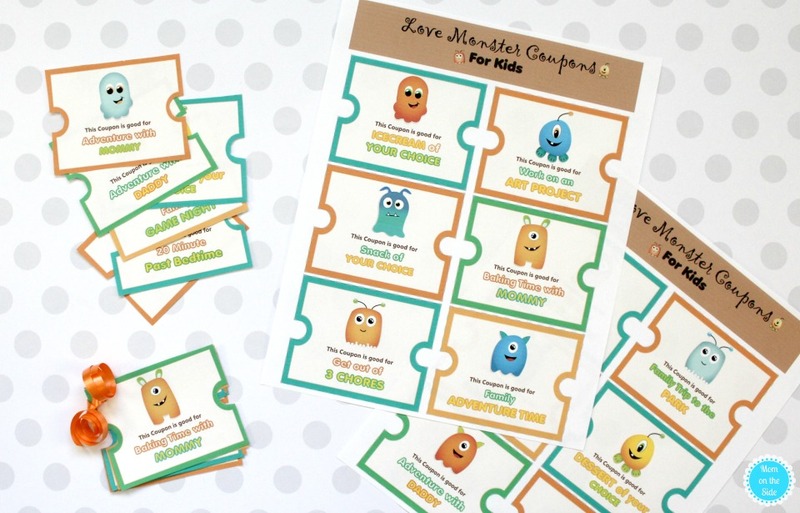 Pin these Printable Monster Love Coupons for Kids to give this Valentine’s Day!